Deemed Exports is not a new term under the indirect tax system. Foreign trade policy entails a detailed discussion and schemes governing the same. Under GST, the term deemed exports are defined under the IGST Act. In order to avail IGST credit on import of raw materials by a deemed exporter under the advance authorisation scheme, A certificate by chartered accountant must be submitted to the jurisdictional GST commissioner within 6 months of such supply. Now a person making deemed exports can approach the Director General (Foreign Trade) for an ‘advance authorisation’ at any point in time. Initially, such persons had to obtain permission on a pre-import basis, which has now been done away with. Export of goods, in common parlance, means taking goods outside India. Such supplies are treated as zero-rated supplies under GST. However, the Central Government may notify certain categories of supplies of goods, which would be treated as deemed exports. This means that such supplies shall be treated as exports even if such goods are not taken outside India. Applicable only for the supply of goods (not applicable to services). Goods are not required to be taken outside India. Such supply of goods must be notified by the Central Government as Deemed exports under Section 147 of the Central Goods and Services Tax Act, 2017 (CGST Act). Goods must be manufactured or produced in India. Payment can be received in Indian Rupees or in convertible foreign exchange. Such supplies cannot be made under Bond / LUT. The tax must be paid at the time of supply. Refund of tax paid on such supplies can be claimed. Note: Deemed exports have also been defined under the Foreign Trade Policy 2015 – 2020 (FTP). However, the definition of deemed exports under FTP is different from the definition under GST law and should not be considered while applying GST provisions. A particular supply of goods can be deemed exports under FTP but may not qualify as deemed exports under GST. The purpose of the two legislations is different. For example, Dealer ‘A’ (located in Rajasthan) sells goods to Dealer ‘B’ which is an EOU. B, in turn, sells the goods to a customer ‘C’ in Germany. Supply by A to B is treated as deemed exports. Supply by B to C is treated as exports. Unlike exports, Deemed export supplies are not zero-rated supplies by default. All deemed export supplies will be subject to GST at the point of supply. Supplies cannot be made under Bond / LUT without payment of tax. Tax should be paid on such supply and then be claimed as refund. Note: The recipient is not eligible to claim the input tax credit (ITC) in case refund of tax paid is being claimed by the supplier. The EOU/ EHTP/ STP/ BTP unit must give prior intimation by filing Form A to the supplier and the jurisdictional GST officer of supplier and recipient. Form A must bear a running serial number and contain details of goods to be procured, which is pre-approved by the Development Commissioner. The supplier must then supply goods under the cover of a tax invoice. The tax invoice must be endorsed by the recipient. Endorsed copy of the same must be sent to the supplier and jurisdictional GST officer of supplier and recipient. Record of such goods received by EOU/ EHTP/ STP/ BTP unit must be maintained in Form B. A statement containing Invoice-wise details of deemed export supplies made by the supplier. Acknowledgement by jurisdiction tax officer of AA or EPCG holder that the said deemed export supplies have been received OR in case of EOU/ EHTP/ STP/ BTP/ Copy of tax invoice signed by the recipient that said deemed export supplies have been received. Undertaking by the recipient that no ITC has been claimed. Undertaking by the recipient that it shall not claim a refund in respect of such supplies. 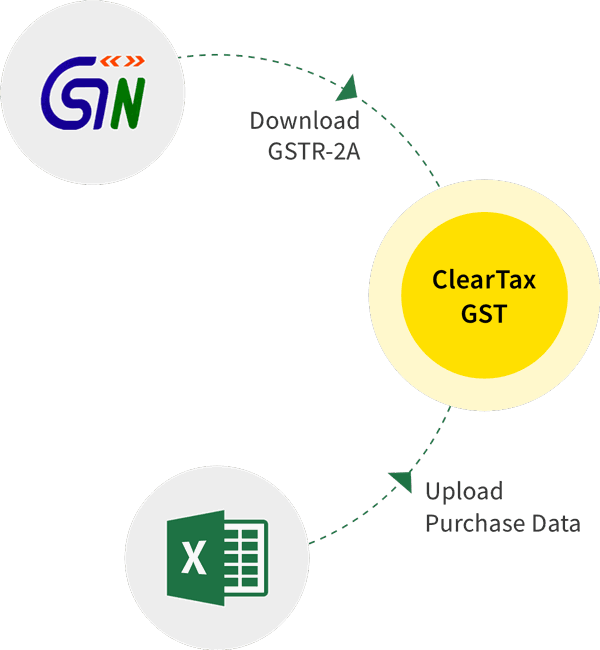 For obtaining a refund of tax paid on deemed exports, the supplier or recipient is required to file an application in Form GST RFD – 01 with supporting documents. Manual filing and processing of refund claims in case of deemed export supplies are permitted till the refund module is fully operational. The refund claim can be filed within two years from the date on which return relating to such deemed export supplies is furnished electronically. Deemed export supplies are required to be disclosed in Table 6C of Form GSTR – 1. The registered dealer has to give invoice details and tax paid on such supplies. No Date Value No. Date Rate Taxable value Amt. In Form GSTR – 3B, deemed exports are disclosed in Table 3.1 (b) with other zero-rated supplies. Amendment in B2B deemed export invoices is required to be disclosed in Table 9A (B2B amendments). Amendment in debit/ credit notes would be reported in Table 9C.